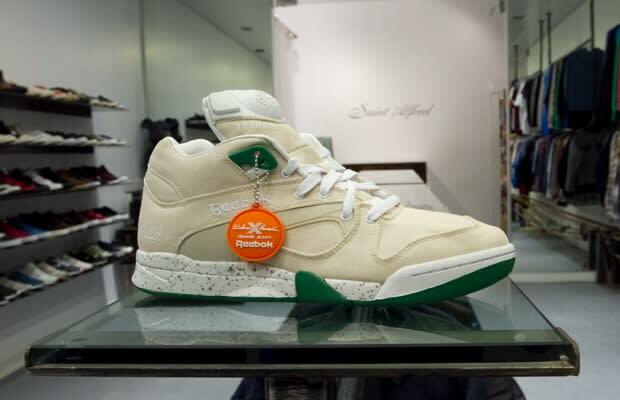 David Says: "For Kicks Hawaii's 10th anniversary they worked with Reebok to create this Pump. Cream canvas with green accents and a speckle sole. It's a real clean and comfortable shoe that's perfect for the summer."